Includes (2) 1/8" NPT to 3/8"-24 IFF adapters. Allows easy adjustment of front-to-rear brake bias. Universal design works on all race cars. 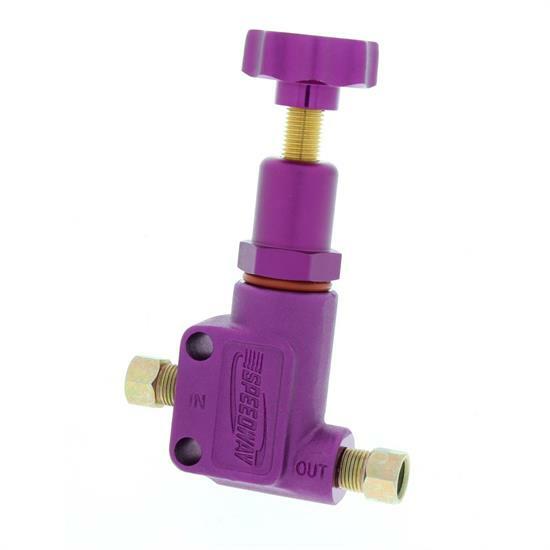 Has a 100 to 1500 psi range with up to 57 percent pressure reduction. Includes two 1/8"-27 NPT to 3/8"-24 inverted flare fittings.